Engage in policy discussions, notably around blockchain protocol standards as well as crypto assets. Other topics will follow in the coming years. Since 2019 is also our first year as an association, an important focus will also be to drive our membership. Our primary constituencies are blockchain originals (i.e. organizations whose prime reason for existence is blockchain).Describe how discussions with European regulators have been going so far.The first reactions are very positive. European regulators are generally very open to receiving input from us on this topic. The current stakeholder landscape has been largely dominated by large, non-blockchain originating companies, law firms and universities. We can bring a different perspective to regulators.In your opinion, which countries are approaching blockchain regulation in an appropriate way?As of today, France, Malta, Lithuania, Switzerland and Liechtenstein lead the way in Europe on cryptocurrency regulation. Also, the UK is taking steps in the right direction. On blockchain regulation in general, the picture is much more complicated as it often requires an application-based approach and is not necessarily linked to the technology itself.What do ideal blockchain and cryptocurrency regulations look like to you?We believe blockchain technology as such should not be regulated. Regulation should be technology-neutral by default. Probably the most important point about dealing with regulation is to bring on board companies developing this new technology so that regulators can better understand its future impact. That is also the mission of Blockchain for Europe.How can regulators keep up with the pace of blockchain development, particularly in the EU where (by necessity), passing new regulations is a bureaucratic process involving many parties? For example, the GDPR took two years from approval to enforcement. Isn’t there a risk that by the time regulation becomes effective, it’s already obsolete?We think that regulation should be, to the degree possible, technology-neutral so that technological development is not harmed. Regulation should be based on the applications, not on the technology. Blockchain cannot be regulated with one regulation but requires a nimble, sectoral approach. Regulation should be, to the degree possible, technology-neutral so that technological development is not harmed. - Kristof van de Reck, Blockchain for Europe Chairman. What’s your view on the conflict presented to blockchain by the GDPR requiring a “right to be forgotten?” How can blockchain projects ensure compliance?The EU Data Protection Regulation is certainly a challenge for businesses working with blockchain. In scenarios where users are in control of their own data, like public blockchains, the GDPR is not an issue. However, we have to wonder whether users are actually aware of the consequences of certain actions in this environment.Blockchain technology, in combination with cryptography, actually provides huge opportunities for privacy. And we can imagine scenarios where the GDPR may be a little strict. There will hopefully be opportunities to improve the GDPR in the future.Are there any areas where you see blockchain adoption is gaining particular traction in the EU? For example, the My Health My Data initiative seems to indicate a particular enthusiasm for implementing blockchain in healthcare. How does the association intend to represent blockchain adoption in different sectors?Europe is really keen on becoming a leader in the blockchain space. We see blockchain quickly gaining ground in governance applications, including identity, research cooperation between universities and in the logistics/supply chain area.While our goal in 2019 is to educate policymakers about blockchain protocol standards as well as crypto assets, in the coming years, we also want to focus on other sectors. Our members are keen to get involved in the discussions around notably digital identity and smart contracts.There will be a new European Parliament elected in 2019. Do you think this will affect the tone or direction of the blockchain/cryptocurrency policy debate?There is certainly a risk that the tone of the blockchain/cryptocurrency policy debate will change after the May 2019 European elections. Not only will we likely lose all British MEPs, generally a pro free-market force, we also expect the Parliament to become much more fragmented. While today it is quite easy for us to have a direct impact on the debate through a few members of Parliament that have a real interest in the topic, in a future Parliament, this might become much more challenging. Depending on how the balance of powers shifts, the Parliament might also take a more or less restrictive approach toward regulating blockchain technology.Does the association intend to get involved in European cross-technology initiatives such as the Smart Cities Initiative?No, at this stage it is not a priority for us.Thank you, Kristof and the rest of Blockchain for Europe, for your time and efforts toward further blockchain adoption. If you’re reading this, chances are you have experience or are interested in trading or investing in cryptocurrency assets such as NEO Global CapitalChances are pretty high that a majority of our readers have invested a number anywhere between $100 to $10,000 in a mixture of assets such as Bitcoin, Ethereum, Ripple, and NEO. There’s also slim minority that has taken a walk on the wild side and invested in ICOs – some getting lucky, the bulk getting burnt.Your decisions were likely fueled by news and impulse, and since your risk was relatively low, it didn’t take much convincing to place your ordersBut what happens when that $100 to $10,000 figure is multiplied by 100x to 1,000x, in some cases 10,000x. And it’s your full-time job. And it’s not your money. The landscape changes a bit.Cryptocurrency funds have a unique task ahead of them that involves navigating through a noisy and clamorous environment to get access to high-quality deal flows and investment targets. The stakes are much higher and reputation starts to matter.CoinCentral connected with the team behind one of the world’s leading blockchain investment firms, NEO Global Capital, at their inaugural Boston meetup. 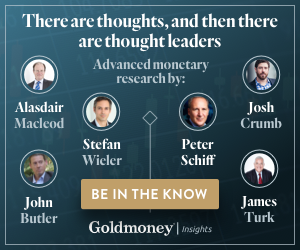 The event featured heavy hitting figures from organizations such as Arrington XRP Capital, Pantera Capital, Block72, and, of course, NEO Global Capital.The NEO Global Capital Fund I has a high-octane diverse portfolio of blockchain projects such as Ontology, Bluzelle, Zilliqa, Trinity, Mainframe, and Top.The following interview provides some serious insights into the mechanics behind running an international blockchain fund, especially in the bear market that is 2018, from NGC Founding Partner Roger Lim.Enjoy! Can you tell us a bit more about what gives you a sense of a good investment opportunity? What specific traits are you looking for in the team, in the idea, in the technology?NGC’s founding team has been involved in the blockchain industry since its early days, so we are fortunate to have worked alongside some of the early adopters of the technology. With time comes a better understanding of what industries are most in need of a digital overhaul, as well as where decentralized technologies will have the greatest impact, so our experience has certainly played to our advantage.As such, we’ve developed a strong sense of which sectors will benefit most from blockchain;what stands out in terms of a projects founding team;and whether an idea is innovative and disruptive versus one that is similar to something that already exists and can really only offer incremental improvement.That being said, NEO Global Capital has a well-rounded portfolio of investments, and we hope to continue supporting a variety of industries, including identity solutions;gaming;online content streaming;the financial services industry (i.e. banking, financing, payments, and exchanges);and so on.We will also continue to invest in public chains, as well as privacy and security projects because we see them as strong examples of addressing a specific problem. Overall, it’s important to look at how competitive the market is for whatever that project is trying to solve.Perhaps most importantly, we place a heavy emphasis on the strength of the team at the heart of a project: Does this project have strong leadership? What is their experience? Do they have high success rates from previous projects? A strong team is often the best indicator of whether or a not a project will succeed.Could you tell us a bit about the fund’s relationship with NEO?Our affiliation with NEO is a strategic one that allows NGC to fulfill its position as a leading investment firm. While NEO Global Capital is a fully independent entity, we are long-term believers in NEO and have created a dedicated fund aimed at fostering the growth of the NEO Smart Economy ecosystem. Through strategic capital deployment, project incubation, and utilizing all of our available resources, we believe that we can help accelerate the growth of the overall crypto market.The NGC Fund I seems to be a newer fund compared to the NEO Eco Fund. Can you explain what are the differences between the two funds, in terms of objectives and potential investment targets?The NGC Fund I is our for-profit fund, where we invest in the most promising and innovative projects related to blockchain. Our wider interest is in advancing the industry, so we invest in projects that have strong use cases and can help drive the mainstream adoption of blockchain.Our second fund is the NEO Eco Fund and our goal here is to promote the growth of the NEO Smart Economy ecosystem. In alignment with our belief in NEO, we occasionally invest in projects that would specifically benefit from NEO’s infrastructure.Overall, the goal of both funds is to help startups create lasting competitive advantages in an industry that’s become very crowded, very quickly. What kinds of short-term targets and goals do you typically agree with a startup firm once you have decided to invest? How do you go about agreeing on these targets?Goals, objectives, and targets differ depending on the type of projects we are supporting. If it’s a public chain, for example, we would work with the project to identify gaps in the technical team, the roadmap, and milestones in advance of the mainnet launch. We are generous with our time for each of our investees;we want them to succeed, and if they wish to tap on the experience of any of our partners or reach out to our network, they have the full backing and support of the firm.It tends to be typical that venture funds require a founding team to have a longer-term target that the company should be sold within a set period of time. Is it any different with NGC? What kind of timeframe do you work to for long term goals, and how do you define long term goals?In general, token investments achieve liquidity a lot faster on exchanges than equity investments (months rather than years). Nevertheless, at NEO Global Capital we want all our investees to succeed whether we make a token or equity investment. We still hold tokens of many of our investments and we continue to work with them and expect them to continue their growth, development and to achieve the key business objectives over the coming years.Are there any advantages to operating a cryptocurrency fund in a bear market?In a way, bitcoin’s dramatic rise last year has solidified the blockchain industry: there is now an interest in blockchain and cryptocurrency that did not exist previously. As we move away from the crypto mania that ensued, the benefit of operating our crypto fund in a bear market is that most projects now come with good intentions.This is not to say we have completely eliminated bad actors, but there were certainly more projects and players that emerged in the market at its peak when there was a greater opportunity for quick wins. Likewise, the current market allows investors to spend time researching, understanding a new technology or problem a project may solve — in a bull market, investors may act from a fear of missing out.In addition to good valuations, the current market has produced stronger projects with experienced leadership teams, compelling use cases, and cutting-edge tech. We believe that the competitiveness of the market has not decreased in any way.What separates a high-quality investment fund from a low-quality one?A high-quality investment fund is one that makes educated and thoughtful investment decisions. One thing we are very proud of at NEO Global Capital is that our founding team comes from a varied background of crypto investment, traditional financial markets, emerging technologies, and mergers and acquisitions.We would say that the best investment funds are those that are able to marry their crypto-specific knowledge with experience from more traditional verticals, thereby taking a more well-rounded and considered approach to investment.A major component for any investor in the ICO space is access to deal flow. What gives NEO Global Capital an advantage here? Do you have any advice for smaller retail investors?A strong reputation for helping projects post-investment is important and also entices more founders and entrepreneurs to want to work with us. We not only work closely with, but we welcome other funds to work with us to share deals, insights, and expertise. We strongly believe in collaboration and that a variety among blockchain investors (geographical expertise, background, and networks) brings diverse experience and immense benefits to a project.As for retail investors, As Warren Buffet once said, “never invest in something you don’t understand” so definitely do your research, understand what you are investing in;and diversification is important. Cryptos are highly volatile and therefore risky, weigh up the risks before diving in.Looking out on the wider market which is becoming very crowded. From the ICOs that have been completed so far in 2018, which ones stand out to you as being unique or otherwise interesting opportunities?We think all the projects we have invested in have innovative teams and unique solutions to today’s problems within the industry. Ontology, for example, provides a solution to digital identity;Certik solves security problems in blockchain with formal verification;Hadron helps enterprises like NASA outsource their computation tasks with a large user and device population so that these tasks are done efficiently and timely. All hugely ambitious projects making immense progress and we look forward to supporting them in the future.How does the NEO Global Capital team reach an agreement over which projects to invest in, or not?While there are no hard and fast rules, a strong product, an effective business plan, and an ambitious, goal-orientated founding team would certainly be the cornerstone of what we consider a promising venture. Each of NEO Global Capital’s partners understands that investors are interested in seeing and investing in projects that are both unique and impactful, so we are often in agreement when it comes to whether to invest or not.In your view, what is the outlook for the overall price of Bitcoin and cryptocurrencies over the next 12 months? What are the crunch points that may end up turning the markets in one direction or another?If I had to hazard a guess – I would say bitcoin could see new highs over the next 12-18 months. As regulations, standards, and infrastructure become more mature, I expect the market to react positively.What would be your single best piece advice for any founders of an ICO or blockchain startup?As the blockchain space becomes increasingly noisy, a recommendation we always make to founders and entrepreneurs is to consider whether or not they really need blockchain. Focus on the problem you are trying to solve and decide if blockchain is truly the solution.What is the outlook for NEO Global Capital as we move to the end of 2018 and beyond?Our primary interest lies in advancing the industry of blockchain towards mainstream adoption, so as we move towards the end of 2018, we will continue to strive towards that goal by investing in the most innovative projects;sponsoring higher education initiatives;and facilitating conversation between industry leaders and business professionals that will address what the industry needs, where exactly the market stands, and what steps can be taken in the New Year to advance the industry as a whole.In line with this, we’ve recently invested in several key blockchain-focused initiatives in higher education: most recently at Berkeley and the National University of Singapore. We also held our inaugural meetup in Boston to discuss project funding and development, best investment practices, and emerging industry trends. We plan to do more of this as we wrap up the year, and hopefully into 2019. Alex Moskov is the Editor-in-Chief of CoinCentral. Alex also advises blockchain startups, enterprise organizations, and ICOs on content strategy, marketing, and business development. He also regrets not buying more Bitcoin back in 2012, just like you. A man has been handed a three and a half year sentence for illegally tapping and stealing power from a train station in China for crypto mining purposes. According to a report published by The Paper, the sentence, which was served on September 13 by the Datong Railway Transport Court, names Xu Xinghua as the accused.He was reportedly fined 100,000 Yuan (about $14,500) for stealing electricity from a factory at the Kouquan Railway station to power his 50 bitcoin mining machines. The offense was carried out between November and December 2017.He was apparently able to mine 3.2 bitcoin worth about $20,000 at current market rates during this period. 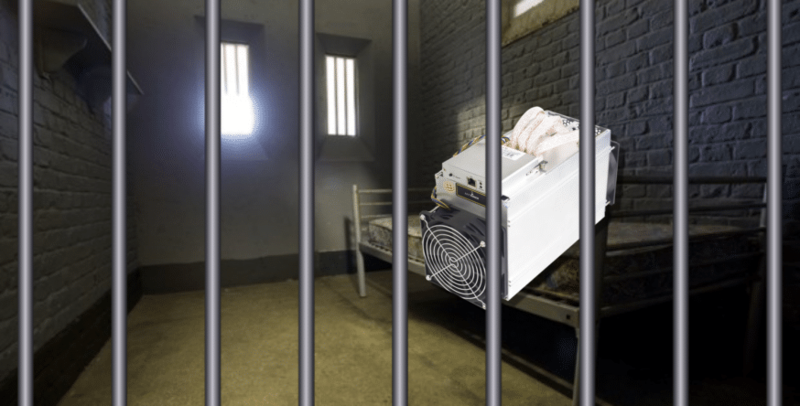 In addition to the fine and a prison sentence, the court ordered him to cover the electricity bill arising from his bitcoin mining activities. His bitcoin mining machines were also confiscated by the authorities.Earlier this year, another Chinese citizen was arrested for stealing electricity to power his 200 miners. His bitcoin and Ethereum mining operation was apparently drawing about 6,000 Yuan ($866 worth of electricity) a day, something that soon caught the attention of the electric company.An investigation launched by the Hanshan County police revealed a meter bypass implemented by the accused in an attempt to avoid billing. An absurdly huge number of cases involving stealing of power for crypto mining purposes were reported last year, especially during the months of November and December in China. They coincided with the price boom that occurred towards the end of the year.The rapid price hike of bitcoin prices caught the attention of investors and newbies alike and led to major FOMO. A scramble for mining-hardware ranging from advanced setups to gaming GPUs soon caused a mining-equipment shortage. Subsequently, many mining companies experienced serious supply issues.The sheer amount of energy needed for bitcoin mining purposes is immense, and so power theft is a major incentive for amateur cryptocurrency miners looking to avoid eye-watering electricity bills.On to the number of cases involving power theft in China, authorities reported a sharp increase in crimes related to this last year, especially in Daqing City. In one case, police cracked down on a group of miners who were siphoning off power from the region’s oil production plants.Twelve operations by the authorities in the city netted over 1,000 bitcoin mining devices over the course of 8 months, preceding December 2017. In one case, inspectors at an oil production plant were trying to find the source of an unfamiliar buzzing sound when they stumbled upon a row of iron shelves decked with mining machines. This article by Elizabeth Gail was previously published on Coincentral.comAbout the Author:Elizabeth Gail is crypto-enthusiast and a blogger. Her specialties include cryptocurrency news and analysis. When not writing about crypto, she’s out taking part in humanitarian endeavors across the world. You can reach out and engage with her on Twitter and Google Plus. Institutional investors are getting into the Bitcoin market via OTC trading platforms. Currently, the OTC trading market is said to be over two times the size of regulated exchanges with some desks handling over $100 million a day in transactions.However, the entry of more institutional players is huge news for the crypto industry. According to many crypto pundits, institutionalized investors are the missing element needed to kick-start the cryptocurrency price recovery journey. This is after the spectacular price dip that occurred at the beginning of the year, which dragged down the market into a bearish stretch.According to a report by Bloomberg, institutional investors have already started to invest in the industry, with some buyers currently buying over $100,000 worth of digital currencies through OTC trading platforms. This is as revealed by Bobby Cho, head of trading at Cumberland, which operates an OTC trading platform under DRW Holdings LLC.In his view, the crypto industry has been waiting for big institutionalized investors to jump on the bandwagon, most likely following a bitcoin ETF, to help prop up the flagging market. But apparently, the big investors are already here, and many are using the OTC crypto industry to make huge buys.Established crypto mining firms are reportedly also utilizing OTC trading platforms to sell digital coins to institutional investors at higher prices instead of waiting for the rates to go up, and many have their own liquidity desks. According to the Bloomberg report, coins from mining companies apparently command a price premium of up to 20 percent of their prevailing market value. This is because they are what many digital currency investors consider as ‘unadulterated’ crypto assets.Because the coins are brand new and untainted by illegal activity, they easily meet regulatory requirements imposed by government bodies. According to Cho, many investment firms are choosing to invest in the cryptocurrency industry at this time because of current market stability. It allows for better market prediction and risk evaluation.Among the main advantages of using OTC trading platforms, especially for big investors, is that they generally have sufficient cryptocurrency liquidity to facilitate multi-million dollar digital coin orders. Moreover, buying millions of dollars worth of crypto on exchanges is hardly a straightforward process. Market movements arising from the huge transactions are also greatly subdued, and unlikely to sway prices by a significant margin.Another noteworthy advantage is that cryptocurrency prices can be fixed beforehand by OTC trading entities, subsequently mollifying fears of sudden price slides and spikes, which could affect the final value of transactions. This article by Elizabeth Gail was previously published on Coincentral.comAbout the Author:Elizabeth Gail is crypto-enthusiast and a blogger. Her specialties include cryptocurrency news and analysis. When not writing about crypto, she’s out taking part in humanitarian endeavors across the world. You can reach out and engage with her on Twitter and Google Plus.In this article, we look at the World Bank blockchain initiative and the rising popularity of blockchain bonds. Even though this is a relatively new concept, banks and governments of all sizes are beginning to issue blockchain-based bonds and minibonds. Let’s examine these use cases and try to understand how these changes might impact the future of government fundraising. The first general government bonds were issued in the Netherlands in 1517. Since that time, this form of fundraising has played an integral role in public sector fundraising around the world. Traditional government bonds have served as a link between governments and citizens. Bonds of the past have usually been denominated in a given country’s own fiat currency. This, however, has already begun to change with the advent of blockchain bonds.There are a number of reasons governments at all levels might want to use blockchain bonds over traditional bonds. For instance, utilizing blockchains can eliminate the need for third-party firms and financial institutions. In other words, blockchain technology has the potential to directly connect issuers (governments) and recipients (citizens). Now, let’s examine some relevant case studies. In August 2018, The World Bank announced its plans to launch the world’s first blockchain bond. However, cryptocurrency will not be used as a form of payment. This is likely due to the fact that there isn’t a widely adopted, government-issued digital currency yet in existence.Unfortunately, most of these options are regarded as Ponzi schemes. Therefore, fiat currency will be used. On August 10, 2018, the World Bank designated the Commonwealth Bank of Australia (CBA) as the sole arranger for a two-year bond. The organization aims to raise 50 million $AUD (the equivalent of $36 million).Paul Snaith, manager of the World Bank’s Treasury Operations Capital Markets, has said that the institution is partnering with Microsoft in order to meet the technical demands necessary to create their software and platform. While World Bank blockchain bonds offer a promising step forward for investors, it’s important to note that anyone who purchases a bond will still follow the traditional path.For instance, each individual purchaser still has to go through an official registration process. In addition, all cash will be transmitted separately from the blockchain through normal bond channels. The World Bank blockchain effort to become the first global issuer of blockchain bonds is quite an accomplishment, but it isn’t the only large financial institution working on such an initiative. BNP Paribas, France’s largest bank and the 8th largest bank in the world, also has a similar program in the works. In 2016, this bank started building and testing a blockchain platform to allow private companies to issue minibonds.BNP Paribas Securities Services, the bank’s custody arm, is actively developing a solution that can maintain records of all minibond issuances as well as ownership changes. The bank also partnered with three French companies to further its eventual goal of real-world implementation. These included two renewable energy companies as well as an investment platform called SmartAngels, which worked on creating the first pilot platform.According to a February 2018 article, Johann Palychata, head of blockchain at BNP Paribas Securities Services’ digital transformation department, said that more improvements are needed to integrate blockchain with existing market practices and stakeholders. Palychata also cited the need for regulatory changes to make widespread adoption a reality.There haven’t been many updates regarding the possibility of BNP Paribas’ real-world implementation of blockchain minibonds. Nonetheless, BNP Paribas is also bringing blockchain innovation to other areas of finance like asset management. In January 2018, BNP Paribas Asset Management announced that it had utilized BNP Paribas Securities Services’ blockchain technology to conduct the successful trial of blockchain-based fund distribution in Luxembourg. Berkeley, California: First Blockchain Bond Municipality? When it comes to bond issuance, most people likely first think of either international institutions like The World Bank or large banks like BNP Paribas. But local governments also have the authority and ability to issue bonds. Now, local and state governments across the globe are starting to implement a variety of blockchain solutions.In May 2018, the city council of Berkeley, California voted to move forward on a project that would make it the first municipality to offer blockchain bonds. What makes this initiative interesting is the fact that it would lower the investment threshold for all investors. Typically, the minimum investment for municipal bonds is $5,000. In contrast, Berkeley’s program would allow people to buy bonds for much smaller amounts (i.e. $10 or $25) to support community projects.This concept is similar to how cryptocurrency projects have reduced or even eliminated the minimum amount of funds required to participate in ICOs. Additionally, the city plans to issue the bonds in dollars. There is also the possibility that the city could create its own token, offering citizens two currency options.Berkeley’s Vice Mayor Ben Bartlett told Bloomberg that circumventing Wall Street is one of the city’s motivating factors. If this initiative is successful, it could set a model where governments are no longer dependent on the services offered by traditional debt capital markets. For the city of Berkely, some possible initiatives include a muni-bond backed ICO for affordable housing. The city has already partnered up with a tech startup called Neighborly to make this vision a reality. Blockchain bonds and minibonds can change the future of bond financing. Governments and banks haven’t been quick to utilize cryptocurrencies in bond issuance or payments, but this could be a possibility in the future.It’s yet to be determined whether governments and financial institutions are firmly in the “blockchain but not bitcoin” camp. Regardless if fiat or crypto is used, blockchain bonds create another potential use case for decentralized technologies. Most importantly, they represent a big step forward for the adoption of blockchain technology. This article by Delton Rhodes was previously published on Coincentral.comAbout the Author:Delton Rhodes:I enjoy researching new, innovative, and interesting blockchain/crypto projects that have the potential to impact the world. Whenever I’m not writing, I’m usually playing sports or producing music.Blockchain may not be a panacea to the all the world’s problems but there are many areas where it shows potential. Perhaps one of the most important is human rights. According to a 2014 report by Freedom House, only 40 percent of the world live in “free” countries. These are the nations that supposedly respect basic human rights. But a lot has changed since 2014, and not for the better. We often take basic human rights, such as freedom of speech or movement, for granted. Many of us forget that in some countries, simply speaking your mind can land you in jail–or even get you killed. While much of the world remains under the thumb of corrupt and oppressive governments, blockchain technology could provide at least the start of a solution.The universal declaration of human rights from the United Nations covers a score of fundamental rights that all people deserve. Yet far too many citizens around the world do not receive them. Among the list of 30 articles are the rights to equality, freedom from slavery, discrimination or torture, and freedom of opinion and information.An Amnesty report published this year revealed that many supposedly “free” countries are failing to comply with basic human rights. The humanitarian crisis in Venezuela is one of the worst in the country’s history. The ongoing state of war in Yemen shatters all basic human rights to food and shelter. Turkey’s continued clampdown on journalists and political activists and Russia’s curtailing of freedom of speech are all in direct conflict with the human rights agreement.We often associate human rights violations with developing countries and oppressive regimes. But the US, EU, and Australia all earned a place among the worst human rights violators on Amnesty’s list.The EU and Australia were called out for their “callous” treatment of refugees, and Trump’s controversial travel ban borderline violates the human right to freedom of movement while discriminating on religious grounds. With blockchain technology, we could track human rights issues more easily. This could bring transparency and accountability to both developing and developed countries. Very often, though, speaking about blockchain involves hypothetical use cases for some faraway date in the future. Yet there are many practical use cases of blockchain and human rights right now. Let’s look at a few examples. From Zimbabwe to Venezuela, Yemen to Syria, people all around the world are unable to access their right to an adequate living standard. This means having food to eat, water to drink and not being forced to live in a conflict zone or in fear of persecution.In countries where hyperinflation is wiping out people’s life savings, blockchain and human rights are starting to team up. Cryptocurrency is beginning to make a dent in the deepening humanitarian crisis in Venezuela.With a national currency devaluing by 95 percent from one day to the next, more and more Venezuelans are turning to cryptocurrencies like Bitcoin and Dash as a solution. In fact, there are now over 900 merchants that accept payment in Dash across the country. The founder of Dash Venezuela told Coin Central:“Venezuelans have been using cryptocurrency for years now to protect their capital from inflation. But now with Dash, it has opened a new window as a means of payment. It is an easy way to receive something that is stronger than the Bolivar and is within the law.”Cryptocurrency further allows for micro trade and microlending. Since you can assign a value to the most minute quantity, the size of trade that is economically viable becomes smaller. Blockchain and human rights make a more compelling case as people around the world can finally access the banking system, start their own business, and buy and sell smaller amounts. Another of the UN’s articles is the right to participate in government and free elections. Yet this is willfully denied to many people. Electoral fraud is common around the world. Even in countries like the United States, self-proclaimed as ‘the land of the free’, significant aspersions were cast over the 2016 presidential elections.The Kenyan elections of 2017 thrust bloodshed, controversy, and chaos front and center. There was a widespread sentiment that the election was rigged, and many Kenyans were unable to take part due to voter intimidation.So loud was the clamor of voices crying out against the election that it led to a second one. But that was boycotted by the main opponent and the incumbent won by a surreal landslide with 98 percent of the vote.But rigged elections and voter fraud aren’t by any means limited to Africa. They’re widespread around the world and even common in private companies and public corporations. Blockchain and human rights projects in this area are showing positive results.People can vote from the privacy of their own homes, free from intimidation. And all votes are tamper-proof on the immutable ledger, akin to anonymous voting in a ballot box.There are still some issues to be ironed out when it comes to blockchain voting. Verifying voter identity and making sure the same people don’t vote twice, for example. But countries like Estonia are already proving that it is possible. In fact, all Estonians have their own ID cards they can use to vote on the blockchain securely and quickly. According to the Committee to Protect Journalists, in December of 2017, a record high number of journalists were imprisoned around the world. The largest concentrations being in China, Turkey, and Egypt. Freedom of opinion and information is a luxury to many in these parts of the world. If a government doesn’t like a certain website, they can shut it down or monitor it. Wikipedia, for example, is censored or banned in many countries, including Russia, Saudi Arabia, Iran, China, Turkey, and even France.The very fact that blockchain provides us with a decentralized technology that is global and uncensored means that no one centralized entity or government can shut it down.Privacy-focused messaging app Mainframe, and mesh networking startups Open Garden and RightMesh are working to provide censorship-resistant platforms to ensure continued, unbroken connectivity. Blockchain and human rights show endless possibilities when it comes to freedom of information. More and more blockchain and human rights use cases will develop over time. Of the 30 articles on the UN’s human rights list, blockchain technology has the potential to help with many.With its correct use in identity management, we may be able to eradicate illicit slavery and human trafficking. And the ownership of land deeds recorded on a transparent ledger could put an end to the illegal seizure of land.There are certainly many human rights problems to tackle. And it will be interesting to see how many cases blockchain technology is instrumental in. This article by Christina Comben was previously published on Coincentral.comAbout the Author:Christina is a B2B writer and MBA, specializing in fintech, cybersecurity, blockchain, and other geeky areas. When she’s not at her computer, you’ll find her surfing, traveling, or relaxing with a glass of wine. What Is Blockchain for Europe? At the end of 2018, five blockchain heavyweights joined forces to create Blockchain for Europe, an effort “to create a unified voice for the blockchain industry at [the] European level.” The initial committee of Ripple, NEM, Emurgo/Cardano, Bloq, and Fetch. AI hosted a summit in November 2018 in partnership with the four largest European parliamentary groups to discuss an array of topics regarding blockchain, cryptocurrency, and their associated regulations. As blockchain technology continues to enter the limelight, it’s important that the regulators behind the inevitable legislation understand the ins-and-outs of the technology and what impact their decisions will have on innovation. CoinCentral’s Steven Buchko and Sarah Rothrie had the opportunity to speak with Kristof Van de Reck, Chairman of Blockchain for Europe and NEM’s Regional Head of Europe, about what’s driving this new organization and some of the challenges that it may face in the coming years. What are the goals of Blockchain for Europe in 2019? Since 2019 is also our first year as an association, an important focus will also be to drive our membership. Our primary constituencies are blockchain originals (i.e. organizations whose prime reason for existence is blockchain). Describe how discussions with European regulators have been going so far. The first reactions are very positive. European regulators are generally very open to receiving input from us on this topic. The current stakeholder landscape has been largely dominated by large, non-blockchain originating companies, law firms and universities. We can bring a different perspective to regulators. In your opinion, which countries are approaching blockchain regulation in an appropriate way? As of today, France, Malta, Lithuania, Switzerland and Liechtenstein lead the way in Europe on cryptocurrency regulation. Also, the UK is taking steps in the right direction. On blockchain regulation in general, the picture is much more complicated as it often requires an application-based approach and is not necessarily linked to the technology itself. What do ideal blockchain and cryptocurrency regulations look like to you? We believe blockchain technology as such should not be regulated. Regulation should be technology-neutral by default. Probably the most important point about dealing with regulation is to bring on board companies developing this new technology so that regulators can better understand its future impact. That is also the mission of Blockchain for Europe. How can regulators keep up with the pace of blockchain development, particularly in the EU where (by necessity), passing new regulations is a bureaucratic process involving many parties? For example, the GDPR took two years from approval to enforcement. Isn’t there a risk that by the time regulation becomes effective, it’s already obsolete? We think that regulation should be, to the degree possible, technology-neutral so that technological development is not harmed. Regulation should be based on the applications, not on the technology. Blockchain cannot be regulated with one regulation but requires a nimble, sectoral approach. Regulation should be, to the degree possible, technology-neutral so that technological development is not harmed. 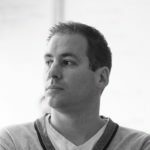 – Kristof van de Reck, Blockchain for Europe Chairman. What’s your view on the conflict presented to blockchain by the GDPR requiring a “right to be forgotten?” How can blockchain projects ensure compliance? The EU Data Protection Regulation is certainly a challenge for businesses working with blockchain. In scenarios where users are in control of their own data, like public blockchains, the GDPR is not an issue. However, we have to wonder whether users are actually aware of the consequences of certain actions in this environment. Blockchain technology, in combination with cryptography, actually provides huge opportunities for privacy. And we can imagine scenarios where the GDPR may be a little strict. There will hopefully be opportunities to improve the GDPR in the future. Are there any areas where you see blockchain adoption is gaining particular traction in the EU? For example, the My Health My Data initiative seems to indicate a particular enthusiasm for implementing blockchain in healthcare. How does the association intend to represent blockchain adoption in different sectors? Europe is really keen on becoming a leader in the blockchain space. We see blockchain quickly gaining ground in governance applications, including identity, research cooperation between universities and in the logistics/supply chain area. While our goal in 2019 is to educate policymakers about blockchain protocol standards as well as crypto assets, in the coming years, we also want to focus on other sectors. Our members are keen to get involved in the discussions around notably digital identity and smart contracts. There will be a new European Parliament elected in 2019. Do you think this will affect the tone or direction of the blockchain/cryptocurrency policy debate? There is certainly a risk that the tone of the blockchain/cryptocurrency policy debate will change after the May 2019 European elections. Not only will we likely lose all British MEPs, generally a pro free-market force, we also expect the Parliament to become much more fragmented. While today it is quite easy for us to have a direct impact on the debate through a few members of Parliament that have a real interest in the topic, in a future Parliament, this might become much more challenging. Depending on how the balance of powers shifts, the Parliament might also take a more or less restrictive approach toward regulating blockchain technology. Does the association intend to get involved in European cross-technology initiatives such as the Smart Cities Initiative? No, at this stage it is not a priority for us. Thank you, Kristof and the rest of Blockchain for Europe, for your time and efforts toward further blockchain adoption. Chances are pretty high that a majority of our readers have invested a number anywhere between $100 to $10,000 in a mixture of assets such as Bitcoin, Ethereum, Ripple, and NEO. There’s also slim minority that has taken a walk on the wild side and invested in ICOs – some getting lucky, the bulk getting burnt. But what happens when that $100 to $10,000 figure is multiplied by 100x to 1,000x, in some cases 10,000x. And it’s your full-time job. And it’s not your money. The landscape changes a bit. Cryptocurrency funds have a unique task ahead of them that involves navigating through a noisy and clamorous environment to get access to high-quality deal flows and investment targets. The stakes are much higher and reputation starts to matter. CoinCentral connected with the team behind one of the world’s leading blockchain investment firms, NEO Global Capital, at their inaugural Boston meetup. The event featured heavy hitting figures from organizations such as Arrington XRP Capital, Pantera Capital, Block72, and, of course, NEO Global Capital. The NEO Global Capital Fund I has a high-octane diverse portfolio of blockchain projects such as Ontology, Bluzelle, Zilliqa, Trinity, Mainframe, and Top. The following interview provides some serious insights into the mechanics behind running an international blockchain fund, especially in the bear market that is 2018, from NGC Founding Partner Roger Lim. Can you tell us a bit more about what gives you a sense of a good investment opportunity? What specific traits are you looking for in the team, in the idea, in the technology? NGC’s founding team has been involved in the blockchain industry since its early days, so we are fortunate to have worked alongside some of the early adopters of the technology. With time comes a better understanding of what industries are most in need of a digital overhaul, as well as where decentralized technologies will have the greatest impact, so our experience has certainly played to our advantage. As such, we’ve developed a strong sense of which sectors will benefit most from blockchain; what stands out in terms of a projects founding team; and whether an idea is innovative and disruptive versus one that is similar to something that already exists and can really only offer incremental improvement. That being said, NEO Global Capital has a well-rounded portfolio of investments, and we hope to continue supporting a variety of industries, including identity solutions; gaming; online content streaming; the financial services industry (i.e. banking, financing, payments, and exchanges); and so on. We will also continue to invest in public chains, as well as privacy and security projects because we see them as strong examples of addressing a specific problem. Overall, it’s important to look at how competitive the market is for whatever that project is trying to solve. Perhaps most importantly, we place a heavy emphasis on the strength of the team at the heart of a project: Does this project have strong leadership? What is their experience? Do they have high success rates from previous projects? A strong team is often the best indicator of whether or a not a project will succeed. Could you tell us a bit about the fund’s relationship with NEO? Our affiliation with NEO is a strategic one that allows NGC to fulfill its position as a leading investment firm. While NEO Global Capital is a fully independent entity, we are long-term believers in NEO and have created a dedicated fund aimed at fostering the growth of the NEO Smart Economy ecosystem. Through strategic capital deployment, project incubation, and utilizing all of our available resources, we believe that we can help accelerate the growth of the overall crypto market. The NGC Fund I seems to be a newer fund compared to the NEO Eco Fund. Can you explain what are the differences between the two funds, in terms of objectives and potential investment targets? The NGC Fund I is our for-profit fund, where we invest in the most promising and innovative projects related to blockchain. Our wider interest is in advancing the industry, so we invest in projects that have strong use cases and can help drive the mainstream adoption of blockchain. Our second fund is the NEO Eco Fund and our goal here is to promote the growth of the NEO Smart Economy ecosystem. In alignment with our belief in NEO, we occasionally invest in projects that would specifically benefit from NEO’s infrastructure. Overall, the goal of both funds is to help startups create lasting competitive advantages in an industry that’s become very crowded, very quickly. What kinds of short-term targets and goals do you typically agree with a startup firm once you have decided to invest? How do you go about agreeing on these targets? Goals, objectives, and targets differ depending on the type of projects we are supporting. If it’s a public chain, for example, we would work with the project to identify gaps in the technical team, the roadmap, and milestones in advance of the mainnet launch. We are generous with our time for each of our investees; we want them to succeed, and if they wish to tap on the experience of any of our partners or reach out to our network, they have the full backing and support of the firm. It tends to be typical that venture funds require a founding team to have a longer-term target that the company should be sold within a set period of time. Is it any different with NGC? What kind of timeframe do you work to for long term goals, and how do you define long term goals? In general, token investments achieve liquidity a lot faster on exchanges than equity investments (months rather than years). Nevertheless, at NEO Global Capital we want all our investees to succeed whether we make a token or equity investment. We still hold tokens of many of our investments and we continue to work with them and expect them to continue their growth, development and to achieve the key business objectives over the coming years. Are there any advantages to operating a cryptocurrency fund in a bear market? In a way, bitcoin’s dramatic rise last year has solidified the blockchain industry: there is now an interest in blockchain and cryptocurrency that did not exist previously. As we move away from the crypto mania that ensued, the benefit of operating our crypto fund in a bear market is that most projects now come with good intentions. This is not to say we have completely eliminated bad actors, but there were certainly more projects and players that emerged in the market at its peak when there was a greater opportunity for quick wins. Likewise, the current market allows investors to spend time researching, understanding a new technology or problem a project may solve — in a bull market, investors may act from a fear of missing out. In addition to good valuations, the current market has produced stronger projects with experienced leadership teams, compelling use cases, and cutting-edge tech. We believe that the competitiveness of the market has not decreased in any way. What separates a high-quality investment fund from a low-quality one? A high-quality investment fund is one that makes educated and thoughtful investment decisions. One thing we are very proud of at NEO Global Capital is that our founding team comes from a varied background of crypto investment, traditional financial markets, emerging technologies, and mergers and acquisitions. We would say that the best investment funds are those that are able to marry their crypto-specific knowledge with experience from more traditional verticals, thereby taking a more well-rounded and considered approach to investment. A major component for any investor in the ICO space is access to deal flow. What gives NEO Global Capital an advantage here? Do you have any advice for smaller retail investors? A strong reputation for helping projects post-investment is important and also entices more founders and entrepreneurs to want to work with us. We not only work closely with, but we welcome other funds to work with us to share deals, insights, and expertise. We strongly believe in collaboration and that a variety among blockchain investors (geographical expertise, background, and networks) brings diverse experience and immense benefits to a project. As for retail investors, As Warren Buffet once said, “never invest in something you don’t understand” so definitely do your research, understand what you are investing in; and diversification is important. Cryptos are highly volatile and therefore risky, weigh up the risks before diving in. Looking out on the wider market which is becoming very crowded. From the ICOs that have been completed so far in 2018, which ones stand out to you as being unique or otherwise interesting opportunities? We think all the projects we have invested in have innovative teams and unique solutions to today’s problems within the industry. Ontology, for example, provides a solution to digital identity; Certik solves security problems in blockchain with formal verification; Hadron helps enterprises like NASA outsource their computation tasks with a large user and device population so that these tasks are done efficiently and timely. All hugely ambitious projects making immense progress and we look forward to supporting them in the future. How does the NEO Global Capital team reach an agreement over which projects to invest in, or not? While there are no hard and fast rules, a strong product, an effective business plan, and an ambitious, goal-orientated founding team would certainly be the cornerstone of what we consider a promising venture. Each of NEO Global Capital’s partners understands that investors are interested in seeing and investing in projects that are both unique and impactful, so we are often in agreement when it comes to whether to invest or not. In your view, what is the outlook for the overall price of Bitcoin and cryptocurrencies over the next 12 months? What are the crunch points that may end up turning the markets in one direction or another? If I had to hazard a guess – I would say bitcoin could see new highs over the next 12-18 months. As regulations, standards, and infrastructure become more mature, I expect the market to react positively. What would be your single best piece advice for any founders of an ICO or blockchain startup? As the blockchain space becomes increasingly noisy, a recommendation we always make to founders and entrepreneurs is to consider whether or not they really need blockchain. Focus on the problem you are trying to solve and decide if blockchain is truly the solution. What is the outlook for NEO Global Capital as we move to the end of 2018 and beyond? Our primary interest lies in advancing the industry of blockchain towards mainstream adoption, so as we move towards the end of 2018, we will continue to strive towards that goal by investing in the most innovative projects; sponsoring higher education initiatives; and facilitating conversation between industry leaders and business professionals that will address what the industry needs, where exactly the market stands, and what steps can be taken in the New Year to advance the industry as a whole. In line with this, we’ve recently invested in several key blockchain-focused initiatives in higher education: most recently at Berkeley and the National University of Singapore. We also held our inaugural meetup in Boston to discuss project funding and development, best investment practices, and emerging industry trends. We plan to do more of this as we wrap up the year, and hopefully into 2019. A man has been handed a three and a half year sentence for illegally tapping and stealing power from a train station in China for crypto mining purposes. According to a report published by The Paper, the sentence, which was served on September 13 by the Datong Railway Transport Court, names Xu Xinghua as the accused. He was reportedly fined 100,000 Yuan (about $14,500) for stealing electricity from a factory at the Kouquan Railway station to power his 50 bitcoin mining machines. The offense was carried out between November and December 2017. He was apparently able to mine 3.2 bitcoin worth about $20,000 at current market rates during this period. In addition to the fine and a prison sentence, the court ordered him to cover the electricity bill arising from his bitcoin mining activities. His bitcoin mining machines were also confiscated by the authorities. Earlier this year, another Chinese citizen was arrested for stealing electricity to power his 200 miners. His bitcoin and Ethereum mining operation was apparently drawing about 6,000 Yuan ($866 worth of electricity) a day, something that soon caught the attention of the electric company. An investigation launched by the Hanshan County police revealed a meter bypass implemented by the accused in an attempt to avoid billing. An absurdly huge number of cases involving stealing of power for crypto mining purposes were reported last year, especially during the months of November and December in China. They coincided with the price boom that occurred towards the end of the year. The rapid price hike of bitcoin prices caught the attention of investors and newbies alike and led to major FOMO. A scramble for mining-hardware ranging from advanced setups to gaming GPUs soon caused a mining-equipment shortage. Subsequently, many mining companies experienced serious supply issues. The sheer amount of energy needed for bitcoin mining purposes is immense, and so power theft is a major incentive for amateur cryptocurrency miners looking to avoid eye-watering electricity bills. On to the number of cases involving power theft in China, authorities reported a sharp increase in crimes related to this last year, especially in Daqing City. In one case, police cracked down on a group of miners who were siphoning off power from the region’s oil production plants. Twelve operations by the authorities in the city netted over 1,000 bitcoin mining devices over the course of 8 months, preceding December 2017. In one case, inspectors at an oil production plant were trying to find the source of an unfamiliar buzzing sound when they stumbled upon a row of iron shelves decked with mining machines. Institutional investors are getting into the Bitcoin market via OTC trading platforms. Currently, the OTC trading market is said to be over two times the size of regulated exchanges with some desks handling over $100 million a day in transactions. However, the entry of more institutional players is huge news for the crypto industry. According to many crypto pundits, institutionalized investors are the missing element needed to kick-start the cryptocurrency price recovery journey. This is after the spectacular price dip that occurred at the beginning of the year, which dragged down the market into a bearish stretch. According to a report by Bloomberg, institutional investors have already started to invest in the industry, with some buyers currently buying over $100,000 worth of digital currencies through OTC trading platforms. This is as revealed by Bobby Cho, head of trading at Cumberland, which operates an OTC trading platform under DRW Holdings LLC. In his view, the crypto industry has been waiting for big institutionalized investors to jump on the bandwagon, most likely following a bitcoin ETF, to help prop up the flagging market. But apparently, the big investors are already here, and many are using the OTC crypto industry to make huge buys. Established crypto mining firms are reportedly also utilizing OTC trading platforms to sell digital coins to institutional investors at higher prices instead of waiting for the rates to go up, and many have their own liquidity desks. According to the Bloomberg report, coins from mining companies apparently command a price premium of up to 20 percent of their prevailing market value. This is because they are what many digital currency investors consider as ‘unadulterated’ crypto assets. Because the coins are brand new and untainted by illegal activity, they easily meet regulatory requirements imposed by government bodies. According to Cho, many investment firms are choosing to invest in the cryptocurrency industry at this time because of current market stability. 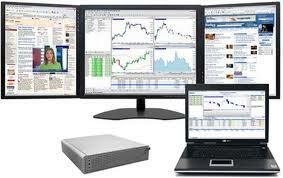 It allows for better market prediction and risk evaluation. Among the main advantages of using OTC trading platforms, especially for big investors, is that they generally have sufficient cryptocurrency liquidity to facilitate multi-million dollar digital coin orders. Moreover, buying millions of dollars worth of crypto on exchanges is hardly a straightforward process. Market movements arising from the huge transactions are also greatly subdued, and unlikely to sway prices by a significant margin. Another noteworthy advantage is that cryptocurrency prices can be fixed beforehand by OTC trading entities, subsequently mollifying fears of sudden price slides and spikes, which could affect the final value of transactions. In this article, we look at the World Bank blockchain initiative and the rising popularity of blockchain bonds. Even though this is a relatively new concept, banks and governments of all sizes are beginning to issue blockchain-based bonds and minibonds. Let’s examine these use cases and try to understand how these changes might impact the future of government fundraising. The first general government bonds were issued in the Netherlands in 1517. Since that time, this form of fundraising has played an integral role in public sector fundraising around the world. Traditional government bonds have served as a link between governments and citizens. Bonds of the past have usually been denominated in a given country’s own fiat currency. This, however, has already begun to change with the advent of blockchain bonds. There are a number of reasons governments at all levels might want to use blockchain bonds over traditional bonds. For instance, utilizing blockchains can eliminate the need for third-party firms and financial institutions. In other words, blockchain technology has the potential to directly connect issuers (governments) and recipients (citizens). Now, let’s examine some relevant case studies. In August 2018, The World Bank announced its plans to launch the world’s first blockchain bond. However, cryptocurrency will not be used as a form of payment. This is likely due to the fact that there isn’t a widely adopted, government-issued digital currency yet in existence. Unfortunately, most of these options are regarded as Ponzi schemes. Therefore, fiat currency will be used. On August 10, 2018, the World Bank designated the Commonwealth Bank of Australia (CBA) as the sole arranger for a two-year bond. The organization aims to raise 50 million $AUD (the equivalent of $36 million). Paul Snaith, manager of the World Bank’s Treasury Operations Capital Markets, has said that the institution is partnering with Microsoft in order to meet the technical demands necessary to create their software and platform. While World Bank blockchain bonds offer a promising step forward for investors, it’s important to note that anyone who purchases a bond will still follow the traditional path. For instance, each individual purchaser still has to go through an official registration process. In addition, all cash will be transmitted separately from the blockchain through normal bond channels. The World Bank blockchain effort to become the first global issuer of blockchain bonds is quite an accomplishment, but it isn’t the only large financial institution working on such an initiative. 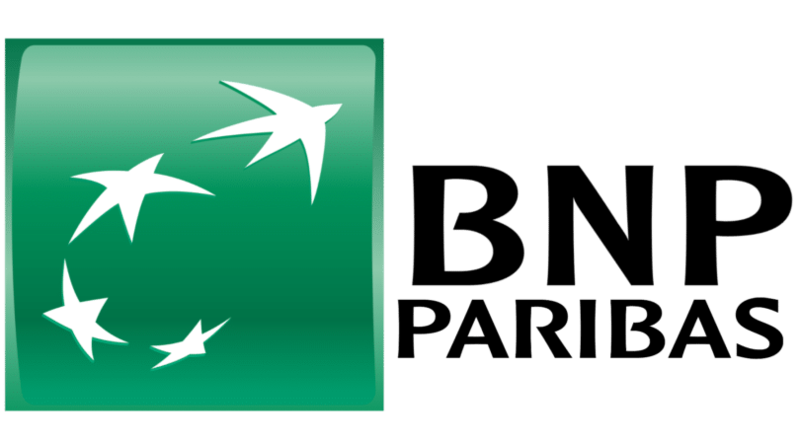 BNP Paribas, France’s largest bank and the 8th largest bank in the world, also has a similar program in the works. In 2016, this bank started building and testing a blockchain platform to allow private companies to issue minibonds. BNP Paribas Securities Services, the bank’s custody arm, is actively developing a solution that can maintain records of all minibond issuances as well as ownership changes. The bank also partnered with three French companies to further its eventual goal of real-world implementation. These included two renewable energy companies as well as an investment platform called SmartAngels, which worked on creating the first pilot platform. According to a February 2018 article, Johann Palychata, head of blockchain at BNP Paribas Securities Services’ digital transformation department, said that more improvements are needed to integrate blockchain with existing market practices and stakeholders. Palychata also cited the need for regulatory changes to make widespread adoption a reality. There haven’t been many updates regarding the possibility of BNP Paribas’ real-world implementation of blockchain minibonds. Nonetheless, BNP Paribas is also bringing blockchain innovation to other areas of finance like asset management. In January 2018, BNP Paribas Asset Management announced that it had utilized BNP Paribas Securities Services’ blockchain technology to conduct the successful trial of blockchain-based fund distribution in Luxembourg. When it comes to bond issuance, most people likely first think of either international institutions like The World Bank or large banks like BNP Paribas. But local governments also have the authority and ability to issue bonds. Now, local and state governments across the globe are starting to implement a variety of blockchain solutions. 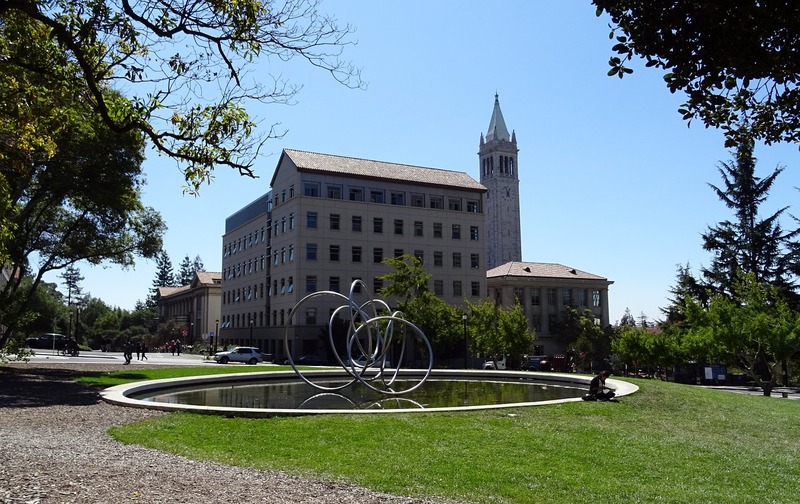 In May 2018, the city council of Berkeley, California voted to move forward on a project that would make it the first municipality to offer blockchain bonds. What makes this initiative interesting is the fact that it would lower the investment threshold for all investors. Typically, the minimum investment for municipal bonds is $5,000. In contrast, Berkeley’s program would allow people to buy bonds for much smaller amounts (i.e. $10 or $25) to support community projects. This concept is similar to how cryptocurrency projects have reduced or even eliminated the minimum amount of funds required to participate in ICOs. Additionally, the city plans to issue the bonds in dollars. There is also the possibility that the city could create its own token, offering citizens two currency options. Berkeley’s Vice Mayor Ben Bartlett told Bloomberg that circumventing Wall Street is one of the city’s motivating factors. If this initiative is successful, it could set a model where governments are no longer dependent on the services offered by traditional debt capital markets. For the city of Berkely, some possible initiatives include a muni-bond backed ICO for affordable housing. The city has already partnered up with a tech startup called Neighborly to make this vision a reality. Blockchain bonds and minibonds can change the future of bond financing. Governments and banks haven’t been quick to utilize cryptocurrencies in bond issuance or payments, but this could be a possibility in the future. It’s yet to be determined whether governments and financial institutions are firmly in the “blockchain but not bitcoin” camp. Regardless if fiat or crypto is used, blockchain bonds create another potential use case for decentralized technologies. Most importantly, they represent a big step forward for the adoption of blockchain technology. Blockchain may not be a panacea to the all the world’s problems but there are many areas where it shows potential. Perhaps one of the most important is human rights. According to a 2014 report by Freedom House, only 40 percent of the world live in “free” countries. These are the nations that supposedly respect basic human rights. But a lot has changed since 2014, and not for the better. We often take basic human rights, such as freedom of speech or movement, for granted. Many of us forget that in some countries, simply speaking your mind can land you in jail–or even get you killed. While much of the world remains under the thumb of corrupt and oppressive governments, blockchain technology could provide at least the start of a solution. The universal declaration of human rights from the United Nations covers a score of fundamental rights that all people deserve. Yet far too many citizens around the world do not receive them. Among the list of 30 articles are the rights to equality, freedom from slavery, discrimination or torture, and freedom of opinion and information. An Amnesty report published this year revealed that many supposedly “free” countries are failing to comply with basic human rights. The humanitarian crisis in Venezuela is one of the worst in the country’s history. The ongoing state of war in Yemen shatters all basic human rights to food and shelter. Turkey’s continued clampdown on journalists and political activists and Russia’s curtailing of freedom of speech are all in direct conflict with the human rights agreement. We often associate human rights violations with developing countries and oppressive regimes. But the US, EU, and Australia all earned a place among the worst human rights violators on Amnesty’s list. The EU and Australia were called out for their “callous” treatment of refugees, and Trump’s controversial travel ban borderline violates the human right to freedom of movement while discriminating on religious grounds. From Zimbabwe to Venezuela, Yemen to Syria, people all around the world are unable to access their right to an adequate living standard. This means having food to eat, water to drink and not being forced to live in a conflict zone or in fear of persecution. In countries where hyperinflation is wiping out people’s life savings, blockchain and human rights are starting to team up. Cryptocurrency is beginning to make a dent in the deepening humanitarian crisis in Venezuela. Cryptocurrency further allows for micro trade and microlending. Since you can assign a value to the most minute quantity, the size of trade that is economically viable becomes smaller. Blockchain and human rights make a more compelling case as people around the world can finally access the banking system, start their own business, and buy and sell smaller amounts. Another of the UN’s articles is the right to participate in government and free elections. Yet this is willfully denied to many people. Electoral fraud is common around the world. Even in countries like the United States, self-proclaimed as ‘the land of the free’, significant aspersions were cast over the 2016 presidential elections. The Kenyan elections of 2017 thrust bloodshed, controversy, and chaos front and center. There was a widespread sentiment that the election was rigged, and many Kenyans were unable to take part due to voter intimidation. So loud was the clamor of voices crying out against the election that it led to a second one. But that was boycotted by the main opponent and the incumbent won by a surreal landslide with 98 percent of the vote. But rigged elections and voter fraud aren’t by any means limited to Africa. They’re widespread around the world and even common in private companies and public corporations. Blockchain and human rights projects in this area are showing positive results. People can vote from the privacy of their own homes, free from intimidation. And all votes are tamper-proof on the immutable ledger, akin to anonymous voting in a ballot box. 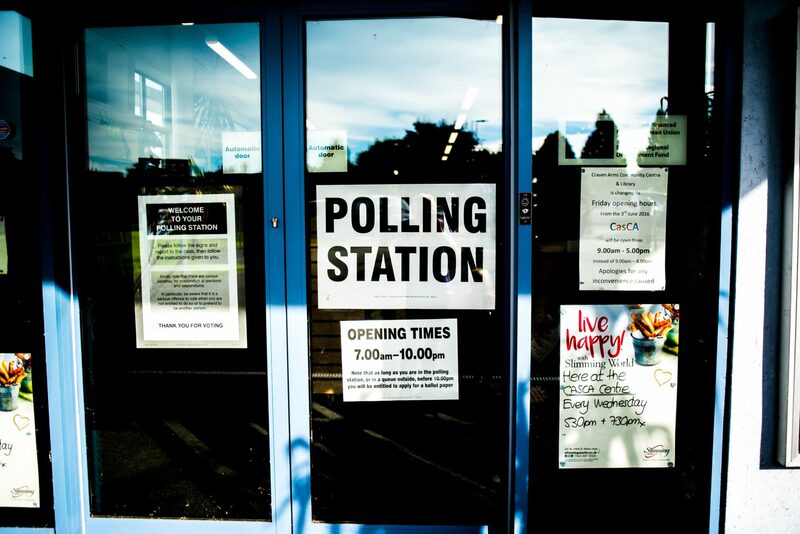 There are still some issues to be ironed out when it comes to blockchain voting. Verifying voter identity and making sure the same people don’t vote twice, for example. But countries like Estonia are already proving that it is possible. In fact, all Estonians have their own ID cards they can use to vote on the blockchain securely and quickly. According to the Committee to Protect Journalists, in December of 2017, a record high number of journalists were imprisoned around the world. The largest concentrations being in China, Turkey, and Egypt. Freedom of opinion and information is a luxury to many in these parts of the world. If a government doesn’t like a certain website, they can shut it down or monitor it. Wikipedia, for example, is censored or banned in many countries, including Russia, Saudi Arabia, Iran, China, Turkey, and even France. The very fact that blockchain provides us with a decentralized technology that is global and uncensored means that no one centralized entity or government can shut it down. Privacy-focused messaging app Mainframe, and mesh networking startups Open Garden and RightMesh are working to provide censorship-resistant platforms to ensure continued, unbroken connectivity. Blockchain and human rights show endless possibilities when it comes to freedom of information. More and more blockchain and human rights use cases will develop over time. Of the 30 articles on the UN’s human rights list, blockchain technology has the potential to help with many. With its correct use in identity management, we may be able to eradicate illicit slavery and human trafficking. And the ownership of land deeds recorded on a transparent ledger could put an end to the illegal seizure of land. There are certainly many human rights problems to tackle. And it will be interesting to see how many cases blockchain technology is instrumental in.